Anthony John Edward Baugh, 32, of Edinburgh Close, Banbury pleaded guilty to being drunk and disorderly in Warwick Road, Banbury on January 21. Baugh pleaded guilty to sending a grossly offensive, obscene or menacing message on the same day. He was sentenced to ten weeks in prison. Baugh also pleaded guilty to failing to surrender to custody on March 5 for which he received four weeks’ imprisonment. Baugh’s detention was deemed served because of time spent in custody. He was ordered to pay £115 victim surcharge and an appropriate restraining order was made. Jatinda Singh, 41, of Lambourne Road, Leicester pleaded guilty to driving an HGV lorry in Hightown Road/Lambs Crescent on July 27 in contravention of a 32 tonnes vehicle weight restriction. He was fined £100 and ordered to pay a £30 victim surcharge and court costs of £150. Alin Gubau, 24, of Leighsanne Court, Mewburn Road, Banbury was fined £660 for failing to give information relating to the identification of the driver of a Vauxhall. He was ordered to pay a £66 victim surcharge and £85 court costs. Gubau had his licence endorsed with six penalty points. Philip Hines, 51, of Woodfield, Banbury was fined £465 for exceeding the 30mph speed limit in Aynho Road, Adderbury at 52mph. He was ordered to pay a £46 victim surcharge and £85 court costs. 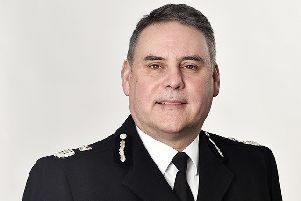 Hines’ licence was endorsed with six penalty points. Marcin Idczak,36, of South Bar Street, Banbury pleaded guilty to taking a Volkswagon Passat without the owner’s consent from Broad Street, Banbury on January 19. Idczak was ordered to undertake 80 hours’ unpaid work and to pay an £85 victim surcharge and £85 court costs. He was disqualified from holding or obtaining a driving licence for 12 months. Idczak also pleaded guilty to driving without insurance for which there was no separate penalty. Kevin Leonard Charles Millar, 53, of Bankside, Banbury admitted breaching a community order imposed by Banbury Magistrates on October 31, 2018 with regard to failing to observe curfew requirements and maintain contact with his probation officer. The community order requirements were continued and Millar was fined £150 and ordered to pay costs of £60. Kay Culling, 33, of Woodgreen Avenue, Banbury was fined £660 for driving without insurance on November 13, 2018 in Woodgreen Avenue. She was also ordered to pay a £66 victim surcharge and £85 court costs and her driving record was endorsed with six penalty points. She was fined a further £220 for driving without a licence. Joshua Joseph Curtis, 21, of Great Western Drive, Didcot, was ordered to pay £100 compensation for assaulting a man in Parsons Street, Banbury on September 26, 2018. Curtis was also ordered to pay £100 costs and a restraining order was made forbidding him to contact the victim. Curtis was found guilty in his absence but did plead guilty to failing to meet custody requirements of bail imposed by Banbury magistrates. There was no separate penalty. Curtis also pleaded guilty to stealing a poppy collection box belonging to the Royal British Legion Banbury branch on November 6, 2018. He was ordered to pay compensation of £10. Nicolae Males, 25, of Horsefair, Chipping Norton was disqualified from driving for six months and fined £660 for failing to give information relating to the identification of the driver of a Fiat car. Males was ordered to pay a £66 victim surcharge and £85 court costs. His disqualification was obligatory because of repeat offending. Jahime Clarke, 18, of Hearthway, Banbury pleaded guilty to possession of cannabis in Bicester on February 27. Clarke was fined £120 and ordered to pay a £30 victim surcharge and £45 court costs. Magistrates made an order for the cannabis to be forfeited and destroyed.